Boost Environmental Systems Inc. offers a patented process for treatment of sewage sludge and agricultural wastes. It allows municipal wastewater treatment plants to reduce the amount of sludge they generate and significantly lower their operational costs as a result. In a similar manner, the process allows for sustainable manure management in the agricultural sector. In addition to cost savings, the process allows for enhanced energy and nutrient recovery from wastewater which can be a source of extra revenue. The company provides custom process design and works with equipment suppliers and consulting engineers to install and commission the technology for each client. Salmonella is a significant global health issue with 80 million cases annually. The annual global economic cost of food borne Salmonella infections related to poultry is estimated to be nearly $70B. NovoBind’s molecules are naturally sourced, precisely engineered antibodies that specifically target and neutralize multiple virulence factors necessary for the survival, infection, and proliferation of Salmonella in the GI. These molecules are engineered for oral administration and produced in large scale, low-cost biological fermenters. The Media Store, led by Reuben Mann, is a brand marketing consultancy that assesses, produces, and implements digital marketing campaigns for national restaurant franchises, entertainment venues, and not-for-profit organizations. In addition to end-to-end branding, web development, graphic design, social media, search engine marketing, and print solutions, The Media Store consults with and aligns an organization’s values with a modern and effective online presence aimed at nurturing business leads, community engagement, and building brand value. Cnawlece has two decades of experience delivering custom business solutions that greatly increase the productivity of office staff, and empower customers to take action now, not later. The company builds mobile-friendly web systems that are always up to date, fast, and easy to use. Their customers include for-profit and non-profit, and range from small to enterprise. Today they have over 60 unique Moxie.Build systems that help keep this planet more organized. FUSION GENOMICS Corporation is advancing molecular diagnostics by developing tests for disease using proprietary technologies in combination with Next Generation Sequencing. Their ONETest™ Molecular Diagnostic Assay Kits and their companion FUSIONCloud™ data analysis suite, enable diagnostic laboratories to identify the genetic signatures of human cancers and various pathogens rapidly, accurately and economically. They are at the forefront of this very exciting field in genomics and medicine. Canadian AgriChar is a Canadian based company located in British Columbia whose main focus is the manufacture and distribution of “biochar” for use in soil remediation and growth enhancement. BioChar remineralizes soil to maximize plant growth, holding moisture and preventing soil leaching. Hutch Systems offers a World Class Fleet Management System to trucking companies throughout North America including the US, Canada and Mexico. Their devices and web-based software solutions provide real time visibility into the location and status of your trucks and trailers, gather diagnostic information on the performance of your equipment, help meet compliance and regulatory requirements, leverage Cloud computing and Telematics to improve equipment utilization, and provide a scalable platform to manage your fleet growth. As the global leader in pathogen diagnostics, discovery and management, Biosequre helps you prevent, reduce or eliminate the introduction and spread of disease. Mitigate pathogens that cause you both human and financial costs. Nutriva Group and Vitala Foods are a group of grassroots companies developing, producing and bringing healthy foods to the world with their first to market innovations in the dairy and egg category. They are driven by their commitment to a healthy planet, key partnerships, customer relationships and strategic brand development. NPK Growing Solutions specializes in nutrient management, IPM, and crop recommendations. Branching out from just berry crops to support the development of other consultants in other industries as well such as dairy forage crops grass, corn, etc. NPK Nutrient Technologies is a specialty fertilizer company, whose mission is to create a sustainable future for agriculture. There are consultants who represent this company in dairy, ornamental and vegetables. BW GLOBAL is one of Canada’s most innovative companies and the leading provider of solutions for the global issues of food and water. Focused on evolving the production of food and plants in controlled environments, they are endeavouring to solve these issues because they are issues that affect the entire world’s population. Adopting and evolving proven technologies, BW GLOBAL, through its BW Greenhouse® division, offers clients polyethylene and polycarbonate greenhouses and growth rooms that use innovative structures as well as technologically advanced materials and systems to increase production of vegetables, flowers, and other nursery plant stock. Through its GUARDIAN Shelters® line of products, they also offer the strongest wide span, steel-framed, membrane or fabric structures on the market for the agricultural, commercial, and industrial sectors. On its mission to be a leading provider of solutions for the global issues of food and water, BW GLOBAL works together to enhance controlled environment agriculture through new technology, refined designs, and improved thinking. The company sells Commercial Real Estate solutions to Realtors, Developers, Investors, Appraisers and Consultants. They’re virtual in operations and offer a better product for a better price. The company also provides value added services; such as development land location software and personal Virtual Assistants for Realtors and Developers. Advanced Intelligent Systems Inc. is a CCPC engineering firm, based in Burnaby, BC. The company is developing Unmanned Ground Vehicle (UGV) robots for agricultural usage. The company is pre-revenue. The company’s robotics proficiency comes from successful implementation of more than 70 systems and many machine vision solutions overseas by one of the co-founders. R&D forms an integral part of the company’s vision and is based on collaboration with universities, governmental organizations and industry. GrowZorb is a company which grew out of the development lab of Precision Polymer Control Products Inc. GrowZorb Technologies Inc. is located in Abbotsford, BC, Canada, and is a manufacturing facility of a growing medium specifically used in the hydroponic greenhouse industry. GrowZorb as a product is lightweight, dimensionally stable, and environmentally friendly. It can be manufactured in a reasonably small factory and therefore is suitable for multiple locations, wherever the concentrations of growers are. CNAD is currently developing rapid and cost-effective molecular testing systems for major bovine diseases. When animals contract diseases such as Bovine Spongiform Encephalopathy, Johne’s disease or Bovine Respiratory disease, their body responds to the stress by releasing exosomes containing specific DNA molecules into the blood. This disease-specific process begins in the early stages of chronic diseases, often before any clinical signs can be observed. We expect that through the application of CNAD’s molecular diagnostic technology, which is based on the detection of these specific DNA sequences, animals carrying diseases critical to the industry can be identified much earlier than currently possible (before the first clinical signs), and with better sensitivity and specificity. Stem Shock is a platform technology for RNA-based precision herbicides, each designed to remove one or more weed species without harming crops or the environment. Each Stem Shock ‘active’ is programmed to kill one or more weeds. Stem Shock offers a solution for controlling weeds resistant to traditional herbicides. A mix of Stem Shock products targeting herbicide resistant weeds will keep these plants under control..
For greenhouse growers of high value crops, Ecoation Innovation Solutions provides the earliest possible detection of pests, diseases and deficiencies that affect crop value. The company collects data on plant state directly from plant signals and predict crop health use proprietary AI software systems. Their system brings crop status to a grower’s desktop or smart phone daily. With their system, growers can take immediate actions that increase crop value, reduce operating costs and reduce pesticide use. Their “made in Canada” technology is available now with paid field trials underway in BC greenhouses. Flex Alert Company Ltd. is a technology company based in Ottawa and Vancouver, Canada with operations in The Hague, the Netherlands and East Africa. Its mission is to develop low cost wireless biosensors for detecting pathogens in food grains, perishable fruits, and during wine production to be used with our mobile networks. Most of our current focus is on local precision agriculture reducing human intervention in the field, through developing and implementing infrastructure based on wireless Internet of Things (IoT) technologies. Flex Alert Company Ltd. has recently graduated from the Market Validation Cohort March 2017 as part of the AVAP at SRCTec. Burton Software developed Hazard Analysis and Critical Control Points (HACCP) software that helps food manufacturing and service companies improve the quality and safety of their products. The cloud-based software develops tools that help users manage food safety plans, document procedures, and carry out inspections at an affordable price. Compy, the bin barrier, is for home owners/renters that engage in kitchen composting who have messy compost bins that emit harsh odors, attract flies/rodents, and are tough to clean. Compy is a household cleaning aid that makes composting easy: it eliminates odors, absorbs moisture, and reduces fruit flies/rodents. Eleos Robotics created Culture Bot, a 100% sustainable patent pending solution to managing and controlling crop pests such as insects, fungi and weeds. In fact, it’s the first ever disruptive technology to the pesticide industry. 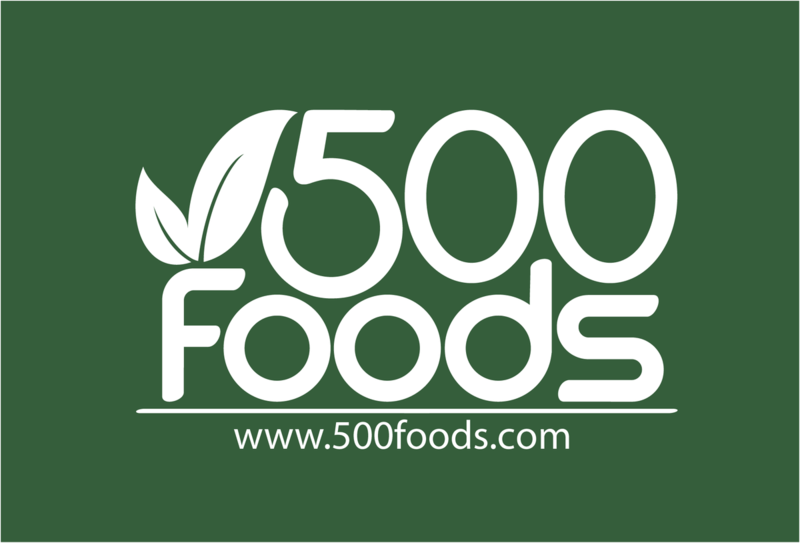 500 Foods aims to grow a wide variety of produce inside of standard shipping containers instead of traditional greenhouses. This will allow year-round production of high quality, high value crops while dramatically reducing traditional agricultural risks related to climate, seasonal labour shortages as well as pests and diseases. Picker Drones Inc. is the agricultural robotics company specialized in UAVs that provides fully supported, easy-to-use drone-enabled technologies and services, purpose-built for precision agriculture. With the global population expected to reach 9 billion by 2050, agricultural production must double to meet the demand. And because of limited arable land, productivity must increase 25% to help meet that goal. Drones are expected to change how we cultivate and grow food across the country. i-Open Technologies Inc., based in Fraser Valley, just east of Vancouver BC, delivers spatially enabled industry specific custom applications, and is supported by a well-established and proven professional services practice. Focusing on GIS/GeoSpatial and Data Integration as the core implementation models, i-Open delivers solutions to various Industry groups and government sector organizations. Combining unparalleled experience, comprehensive capabilities across several industries and business functions, i-Open is making extensive technology based contribution to some of North America’s most successful companies. Whether it is implementing an Asset Management, facilities/space management, or mobile/emergency response planning solution, i-Open delivers a Proven track record. The creators of QuestUpon have a long history in mobile platform and game development with their associate company, PlayMobility. Before the smartphone came along, they had envisioned gamifying the real world to inspire an active lifestyle, by combining augmented reality and geocaching. The concept was years in the making, but it wasn’t until 2011 that they created Legend Tracker, that allowed explorers to track, find, and see legends, such as Sasquatch and Loch Ness Monster, in augmented reality, as they travel a region. This resulted in people submitting various pictures and videos of legend sightings, to Legend Tracker, and in 2013 one of these submitted videos went viral as news of the Sasquatch sighting in Mission BC reached over 250 million people around the world! My Green Space offers the easiest way to grow your own food in any space. As an end to end garden management tool including planning software, built-in e-commerce which recommends the supplies necessary, and our flagship product: a smartphone app which provides all the information required to grow fruits and vegetables, along with notifications, tutorials and troubleshooting. Garden tracking is automated, to view when each harvest can be expected. We remove 80% of the mistakes, allowing anyone to grow healthy delicious food in any space. Industrial agriculture is broken. We believe there is an intrinsic connection between healthy food, healthy people and a healthy planet. Our mission is to help millions of people around the world experience the benefits of growing their own food. We envision a world driven by sustainable local economies with local food at the heart of culture and a garden in every home.